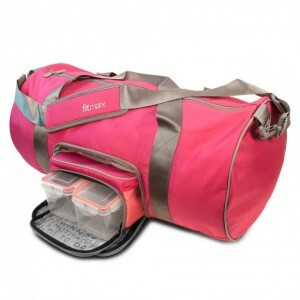 The Fitmark Transporter Duffel Bag is a Gym bag. Travel bag. Meal Management bag. 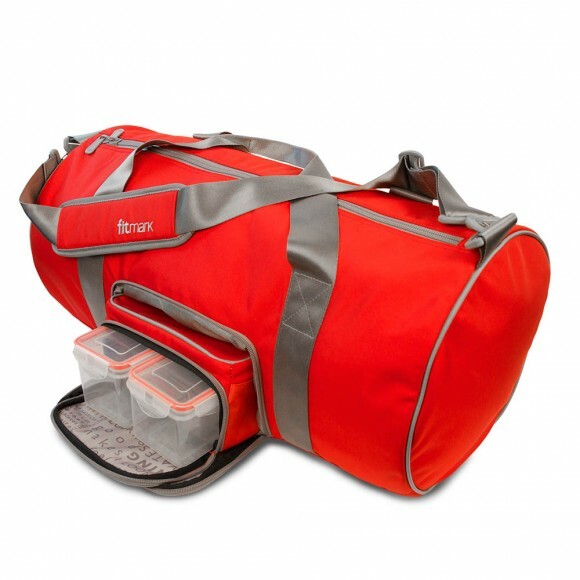 Yes, all 3in this newly designed, and patented, custom duffel. It includes a removable BOX™ sm, and it’s dual cool packs and 2 oversized 4-lock seal tight meal containers. 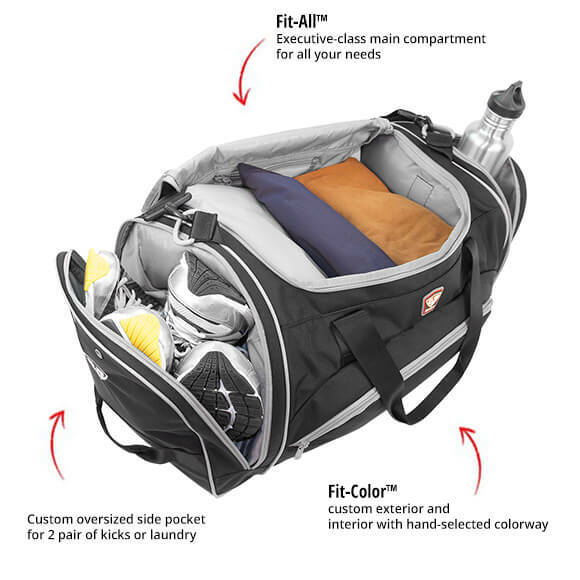 The duffel bag also includes the bells and whistles like a padded soft-touch lap top sleeve, custom exterior pocket, seat belt webbing and detachable shoulder strap, shield embossed metal zipper pulls throughout and separate kicks and laundry bag. 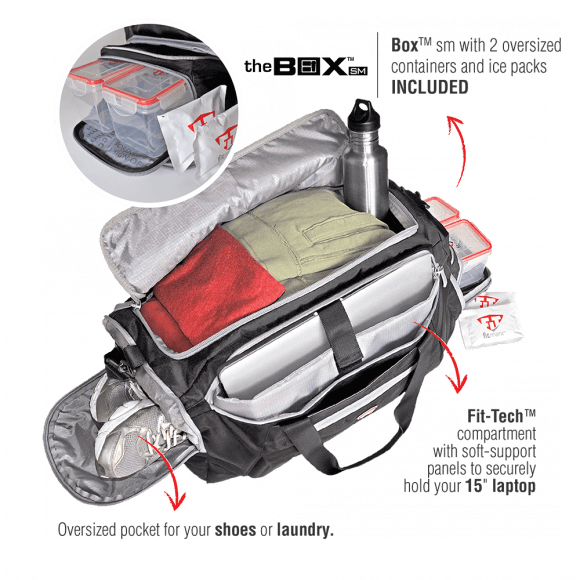 Use the custom meal management pocket for the BOX™ sm or remove it and use it for your gym and travel accessories as we all know we don’t always carry a meal or two with us, and we often need full use of the interior pockets of our travel and gym bag. Now, the only thing left to do is choose the colour that reps your style! 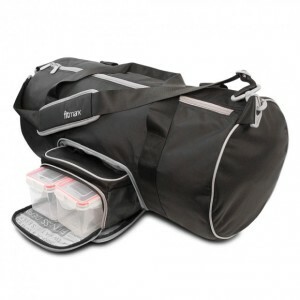 Clean the Transporter duffel bag with damp cloth as necessary. Hand wash only. Do not use detergent or bleach. Remove wet items immediately. Line dry.